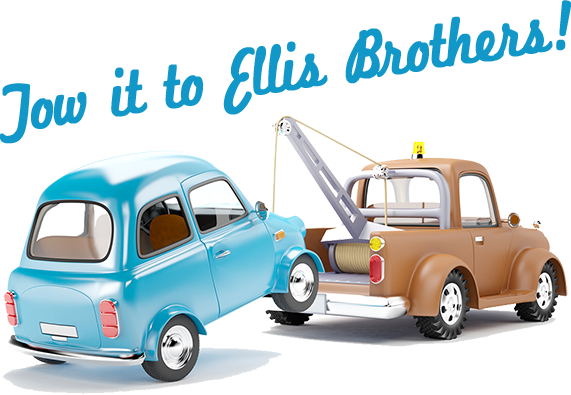 Tow It To Ellis Brothers! 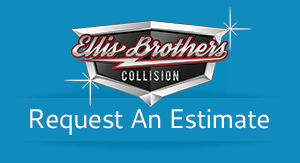 Tow it to Ellis Brothers Collision (4935 Technical Dr., Milford, MI) We'll get started right away! If you take it to the dealership, your vehicle could sit for weeks and weeks before they even start on it. We'll stay in touch with you and your insurance company to keep things running smoothly. No more driving to some shop way across town! We will handle the estimate and repair for you! Receive state of the art repairs and good old fashioned service in less time! Our state certified technicians will complete repairs on your vehicle before most dealerships even get started! At Ellis Brothers Collision we recognize that freedom is not free. Please accept our heartfelt thanks for your service to our country and a coupon for 15% off all out-of-pocket repair services plus 10% off parts. When your vehicle is in need of collision or any auto body repair, simply drive it in or "Tow It To Ellis Brothers" and we'll get the estimate process started quickly so that you can get your car repaired as soon as possible. If needed, we'll arrange a ride, a rental car, a loaner or even pick up your vehicle for you. 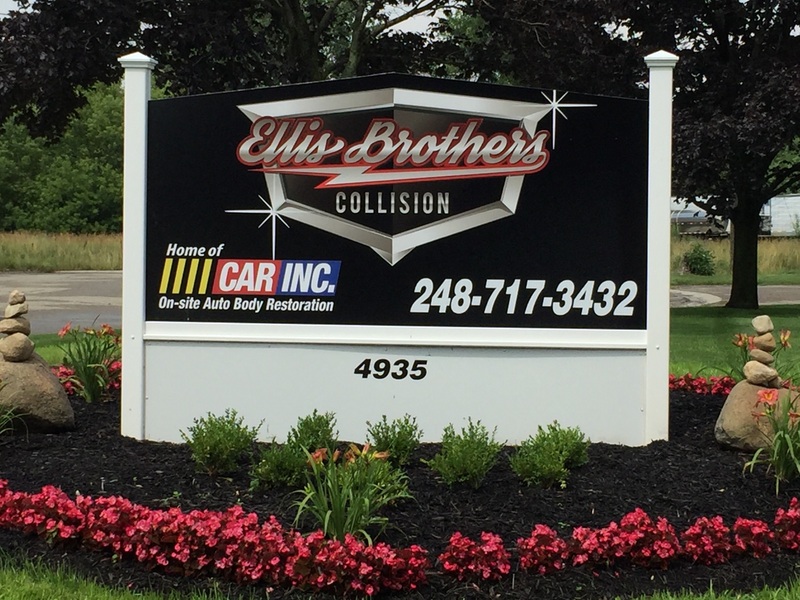 If you’ve been involved in an accident, tow it to Ellis Brothers Collision in Milford, MI. 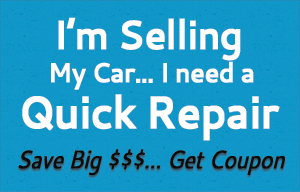 We'll get your vehicle repairs started right away! It’s important to remember that you only get one chance to properly repair the damage the first time. 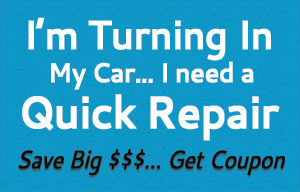 We know you need your car or truck repaired as quickly as possibly. Unfortunately, if you take it to the dealership, your vehicle could sit for weeks before they even begin to make the repairs. Tow it to Ellis Brothers Collision and we’ll get it started right away so you can have it returned to you as quickly as possible. 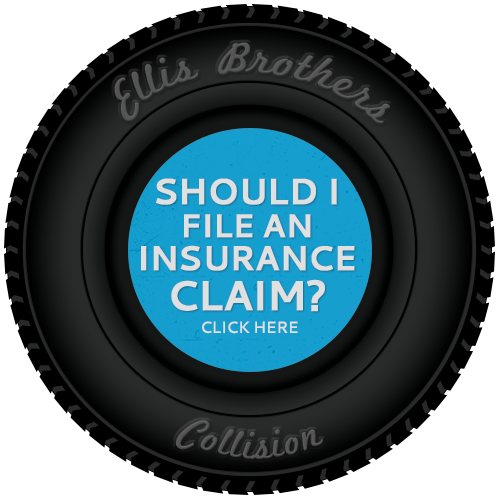 When you bring your vehicle to Ellis Brothers for collision repair, we'll stay in touch with you and your insurance company to keep things running smoothly. No more driving to some shop way across town! We will handle the estimate and repair for you! In short, you’ll receive state of the art repairs and good old fashioned service in less time! Our state certified technicians will complete repairs on your vehicle before most dealerships even get started! It’s not uncommon for those who’ve experienced damage to get inaccurate information and inadequate repairs from their collision repair shop, especially if your insurance company has pushed you to use one of their "preferred" collision repair shops. This is why Ellis Brothers Collision offers our clients our exclusive 6 Guarantees which you can read about below. 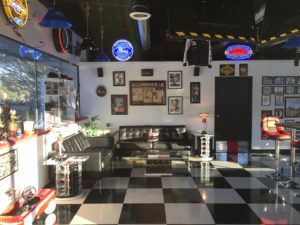 And when you put your vehicle in the care of Ellis Brothers Collision, your repair will be handled by the only collision repair shop in Michigan that abides by the Customer Bill of Rights for Collision Repair Companies. Before you choose a collision repair shop, be sure to view the Customer Bill of Rights we have prepared for you on this site, or you can use the repair estimate form, or call us now at (248) 717-3432 for a free repair estimate. Ellis Brothers Collision warrants and guarantees to the original purchaser, that should Customer accept and purchase Ellis Brothers' recommended repair, excluding all "Quick and Easy™ repairs," that such repair shall be free from defect in materials and workmanship under normal use and conditions for as long as the Customer owns the vehicle on which the recommended repair was provided or until the part or parts on which the Covered Repair was performed, if applicable, is replaced. We stand behind our "Quick & Easy Paint Repair" and our "O.O.P.S. Body Shop Special" with a Five Year Guarantee. * If our paint cracks, peels or fades within five years of the service date, we will fix it for free! 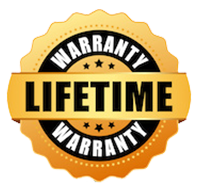 Our lifetime warranty does not cover defects or damages that occur as a result of rust, abuse, a subsequent collision or theft, weather related damage, stone chips, scratches, or improper care and/or maintenance. We guarantee that when you arrive to pick up your vehicle, a member of our repair team will walk you around your vehicle to open the doors, hood and/or trunk so that you can visibly see the quality of any structural repairs and paint repairs. Pay special attention to the paint in and around the door jams. When we paint, the doors are closed, but there is still a gap on the interior that needs to be painted. This is the reason we use a 2-step process where we paint the door jams first on the inside, then we paint the outside to insure a premium quality paint job. While walking around the car, we will point out what was replaced, we'll demonstrate that the A/C blows cool, the heat blows warm, and all mechanical systems are functioning properly. If weather permits, the customer will be encouraged to sit in vehicle to test the heat and A/C, turn on the blinkers and headlights and confirm the headlines are aimed properly and everything works. Every vehicle entrusted to the care of Ellis Brothers Collision will be treated with the highest level of care. Broken glass will be secured and/or covered to prevent water and debris from entering the vehicle. Fluid leaks will be contained with hazmat absorbent materials. There will be no smoking at any time in or near your vehicle. Fluid loss will be replaced with all new fluids. The interior will be cleaned and the exterior will be buffed to a shine upon completion of the repairs. Our Repair Technicians are the best in skill, attitude and workmanship. We provide ongoing training keeping them up to date with new market developments. 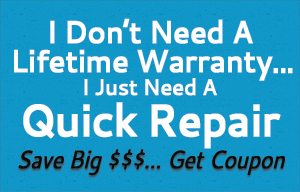 That means you get the most knowledgeable Repair Technician in the business. We will care for your vehicle and complete the job in a timely manner with precision. Your vehicle will be cleaned when we are finished and our repair technicians will take personal responsibility for your satisfaction. They will not smoke in or near your vehicle. We provide a lifetime guarantee that your paint repair will not chip, crack, paint or peel*. 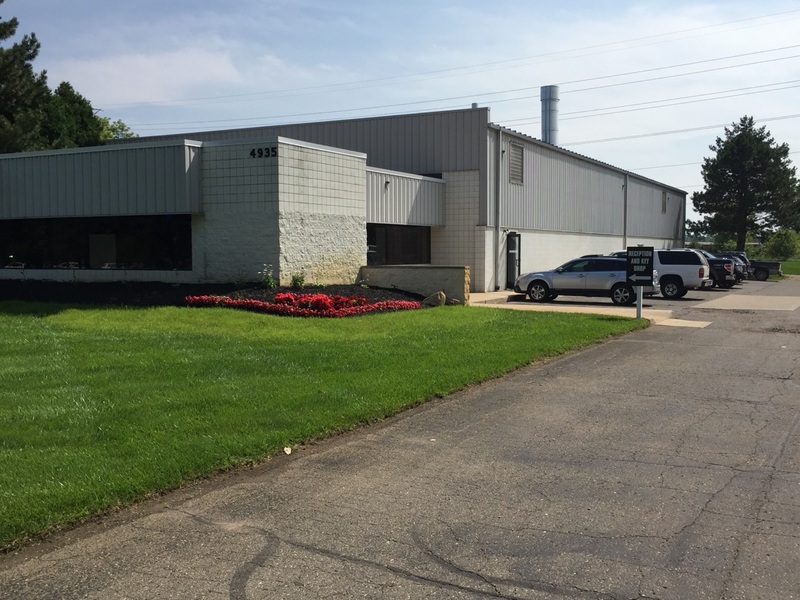 In addition to the meticulous process used by our Technicians during the paint preparation and application process, we've invested in the latest and most advanced paint booth on the market. This state-of-the-art GFS Performer XD Full Downdraft Paint booth provides superior lighting, excellent contamination control, and top of the line results for your auto body paint repair. *Quick and Easy Paint Repairs™ and O.O.P.S.Body Shop Special Repairs™ are guaranteed for 90 days from the date of service." Your vehicle will be repaired to OEM standards and all insurance instructions will be followed precisely. This is important to know because some repair shops will find a shortcut that benefits the shop, and not the customer. For example, some collision repair shops use processes that could impact the safety of a customer by wrongly repairing structurally damaged parts instead of replacing to OEM standards to protect your safety. Still other shops may use improper welding equipment, perform improper welds, or fail to properly rust proof new body panels. At Ellis brothers we guarantee that all insurance repairs will be completed exactly as written and no shortcuts will be taken simply to benefit our shop. We advocate the use of OEM and CAPA certified parts and will work on your behalf to ensure your insurance company doesn't short cut your repair to save them money.